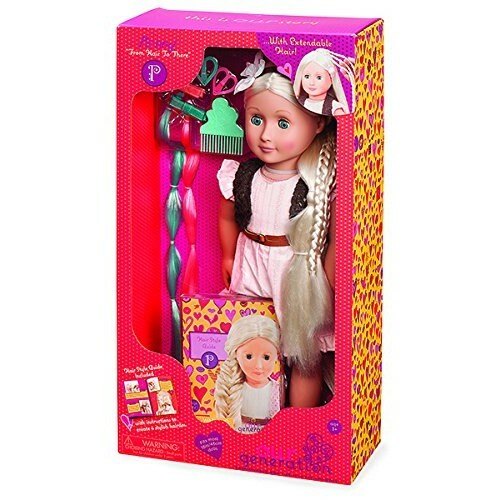 White blonde Penny An 18 inch non-poseable doll with hair that grows. 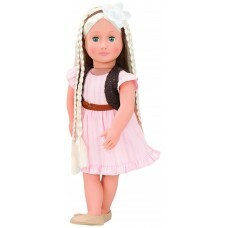 Penny comes with a portion of hair that can be extended to add extra volume to hairdos, as well as a hairstyle booklet, comb, hair extensions and hair clips. 1 hair style guide booklet.